It seems too good to be true (and it probably is) but we refinanced our house recently and got out way more money than we thought we could, so my huge dream of adding on to the back of my house may become a reality. I have been married for 17 1/2 years and I’ve never had a new kitchen. 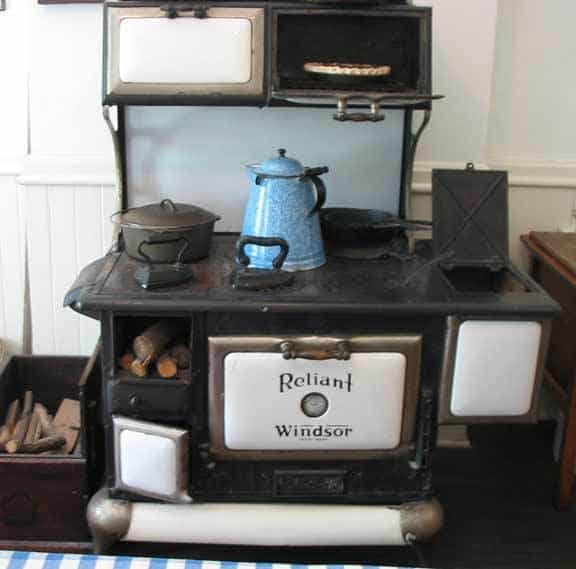 It will be a huge change from my 40-year-old green countertops and painted green cabinets. The plan right now, if we can afford it, is to add on to the back of the house and knock out the wall of my current kitchen that is currently basically a hallway and expand it out a few feet and add a huge pantry. It will be awesome because I need more storage than the average home cook because we cook almost everything from scratch and because we regularly cook 2-3 meals every night (don’t even get me started . . .). I would also love to be able to make videos of me cooking and take good pictures of my food blogs. The main reason I want to add on is so I can invite my large extended family over and have room to sit and eat and not have to eat in shifts or standing up. 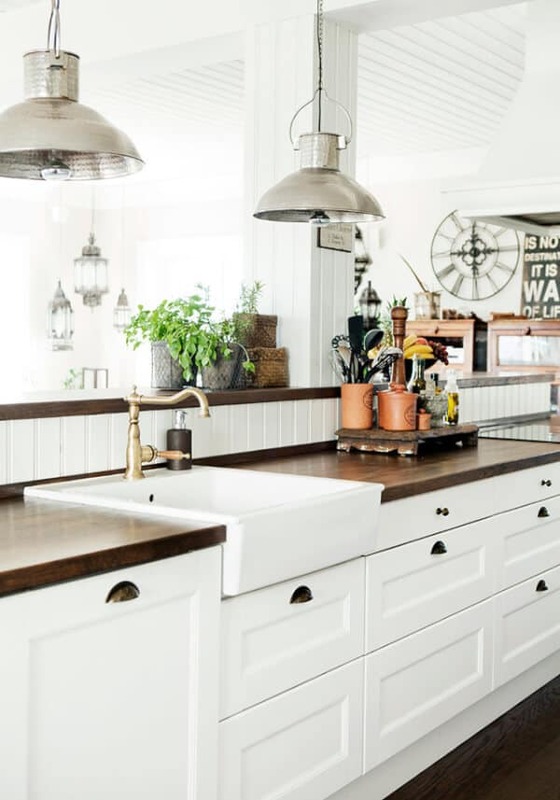 Read this post to see my top 9 favorite farmhouse island ideas and see how I ended up putting them all together when I designed my own kitchen island. 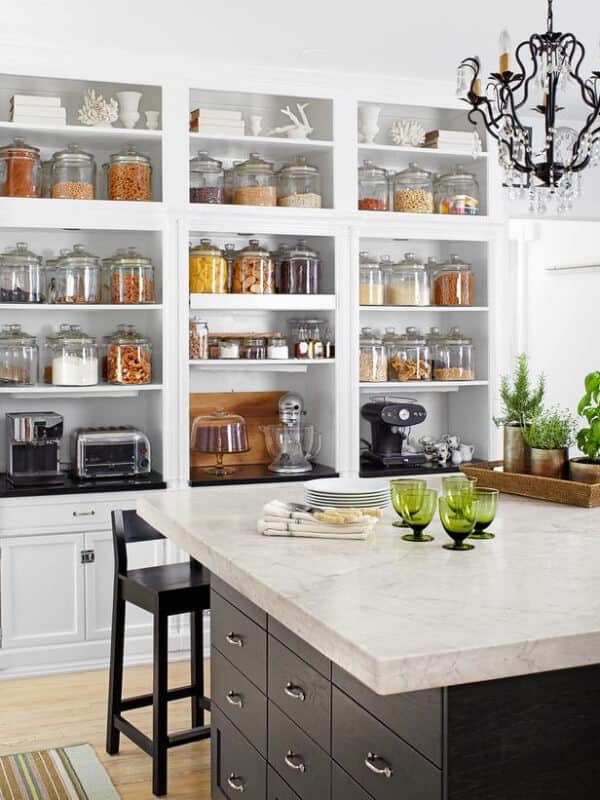 Check out these farmhouse kitchen pantries, with an emphasis on organizing. 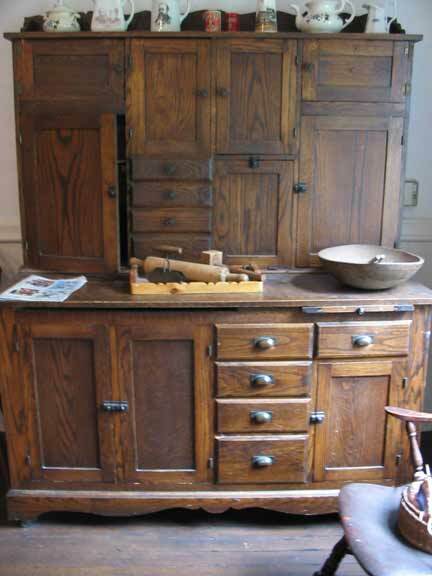 I saw this house at the Utah Valley Parade of Homes and I love the walnut cabinets. I love how they are a medium color – not too dark and not too light. 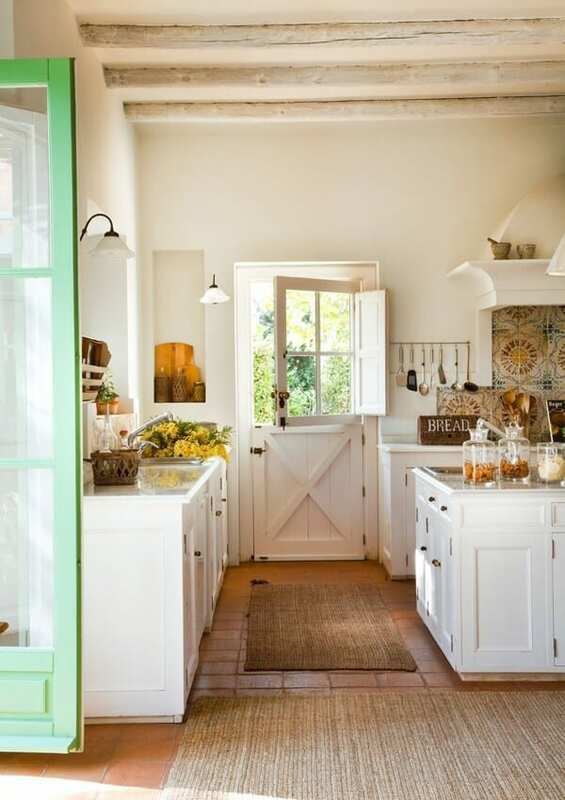 Look at the doorway too – such a simple way to add a little touch of farmhouse. I really like this back door. It is great to let natural light in and also would be a nice way to keep an eye on the kiddos. I love how versatile it is and you can close it according to the current situation. 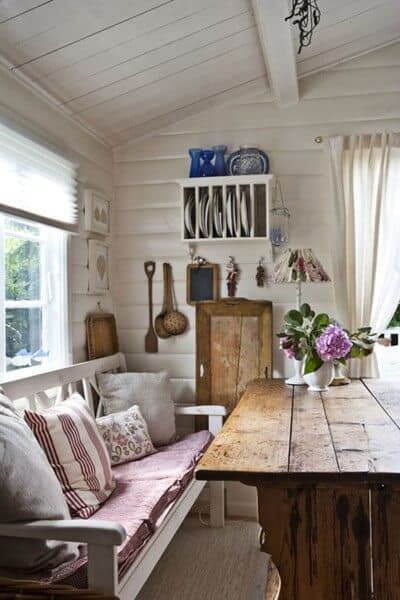 I love everything it this image including the decor on the wall, the table, and bench by the window although the cushions would not work with little children. We could do the bench without cushions and when the kids get older add the cushions. 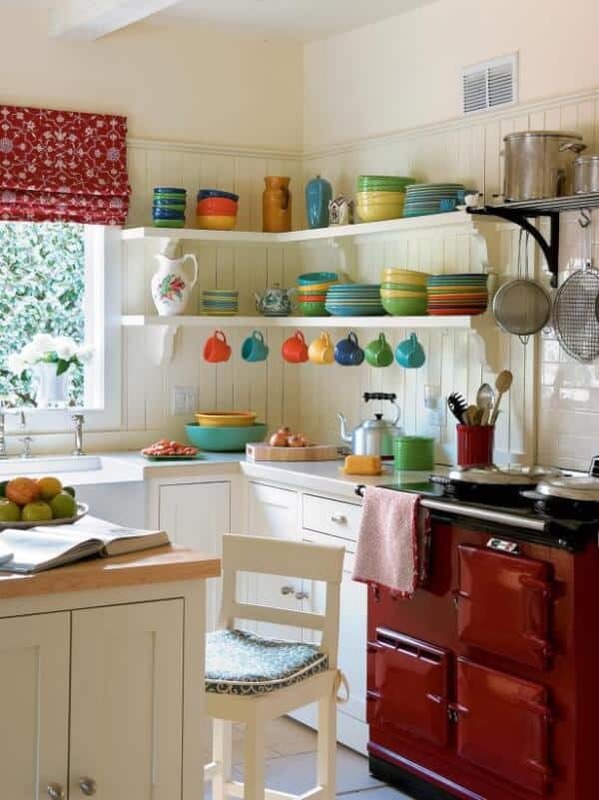 I like the colorful display of dishes instead of hiding them in cupboards. 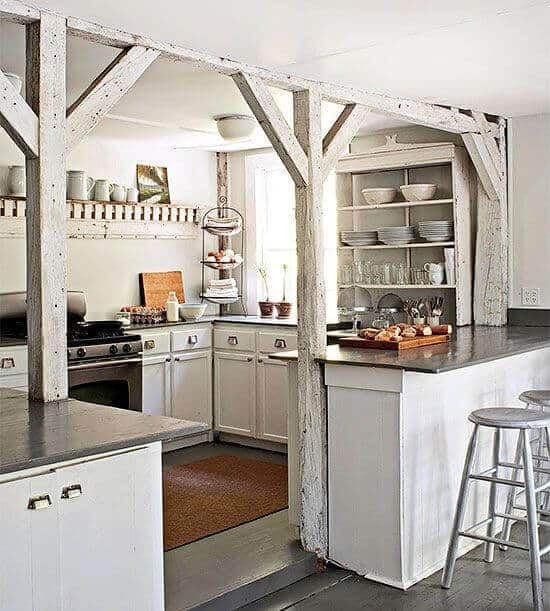 I love the distressed look of the farmhouse beams. 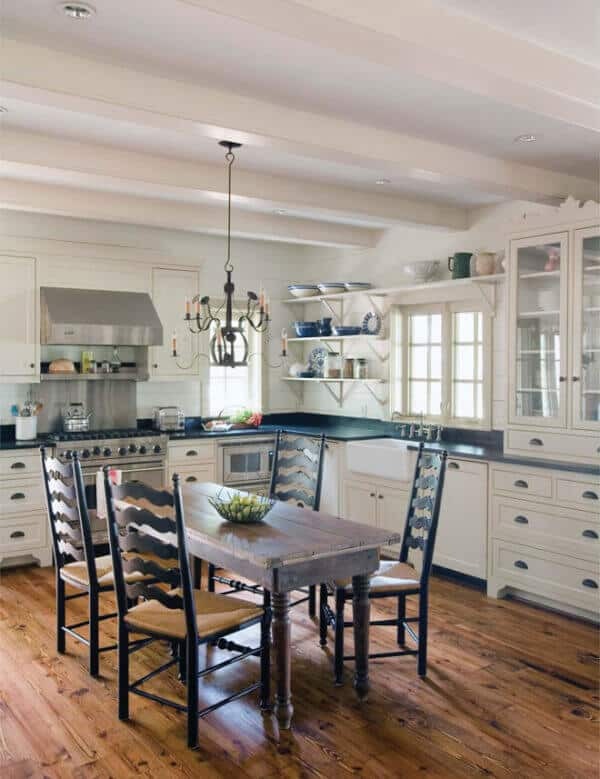 I like the design on the wood floor of this picture and the mixed cabinetry also makes it a Farmhouse style kitchen. 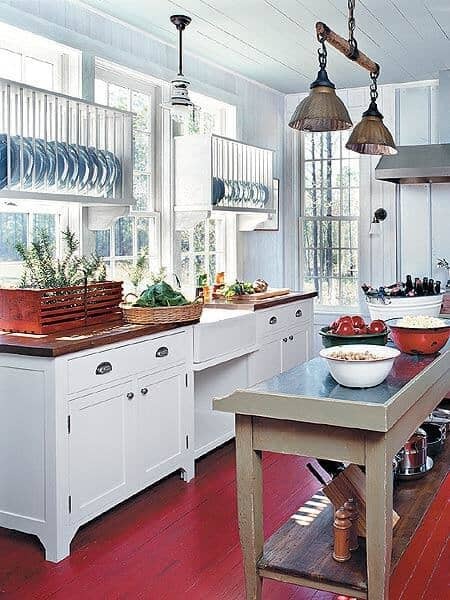 I like the subtle colors of the red, white and blue in this kitchen. 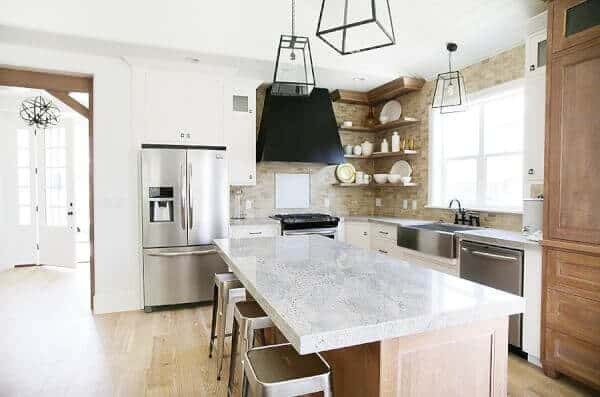 I like the simple white cabinets with the black handles, the industrial lights and the apron sink in this kitchen. 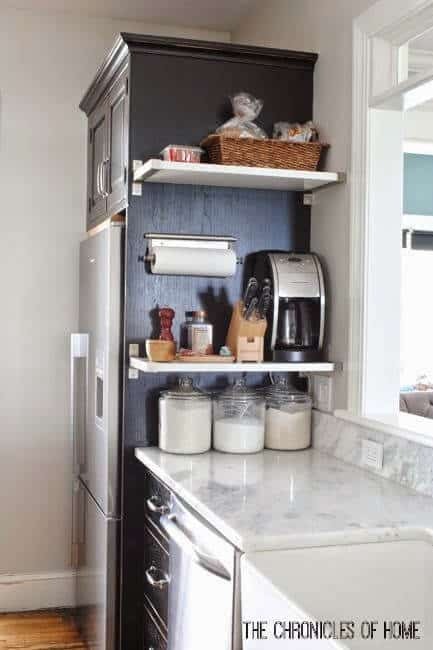 I like the look of the storage shelves on the wall. Cute way to keep all food I’m storing. My number one favorite paint color is this Blue Gray Owl Heather color. 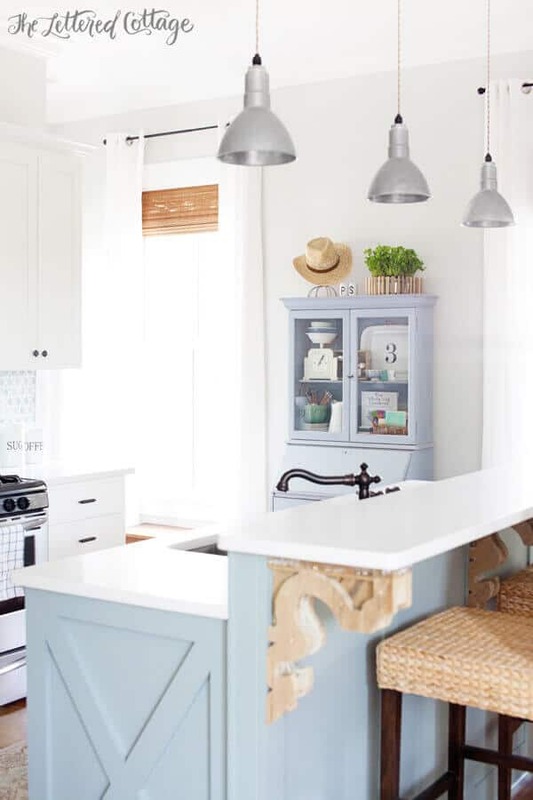 It reminds me of the ocean and a seaside cottage.